Yoga Karunta or Yoga puppetry is the use of wall ropes in the practice of yoga, particularly the Iyengar method. Sirsasana with ropes to build upper body and arm strength. Ropes and slings can enrich your yoga practice in many ways. 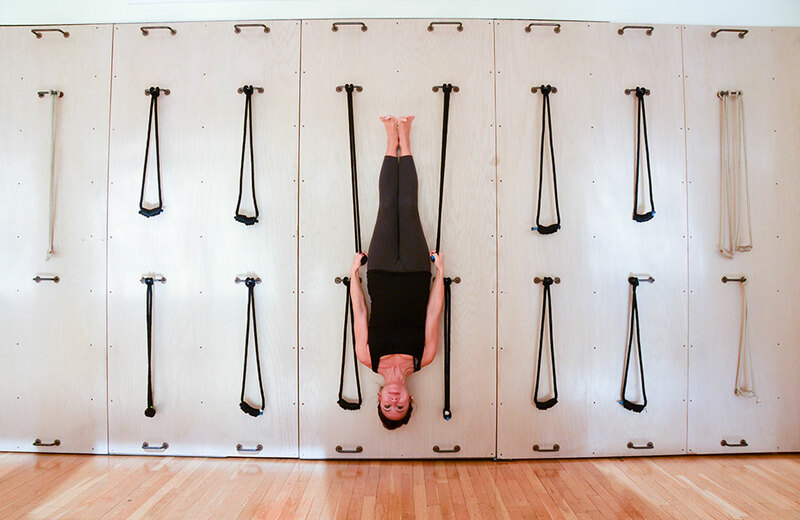 They are an incredible way to open your body against gravity, releasing tension and lengthening muscles on a deep level. They can be used in regular and backcare practices to increase traction on the spine, increase your core and back strength and give access to an inversion practice for those that cannot put pressure on their heads or hands. 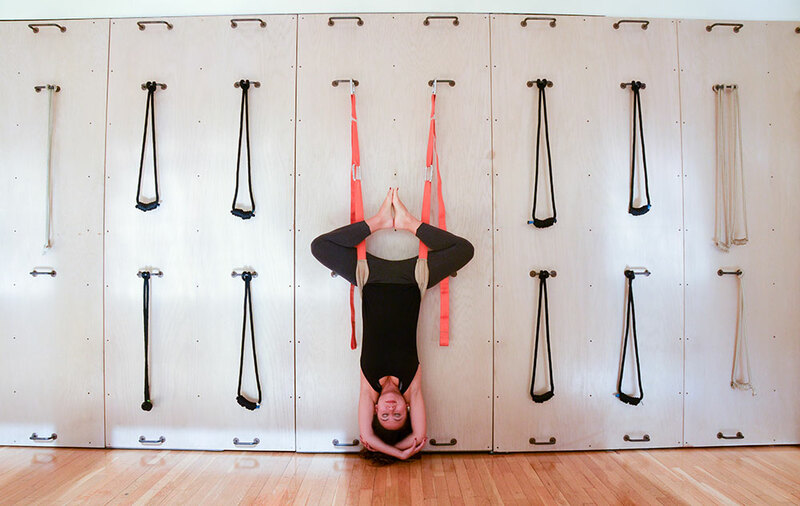 Sling sirsasana gives all the benefits of an inversion without having to put pressure on the head. Plank pose using the slings to build back strength. Parsvokonasana with ropes to lengthen the side waist and avoid side bending. Slings and ropes used to open the chest and deepen back bends.